3D printing has already taken all sorts of forms. Clothes, devices, and even food. 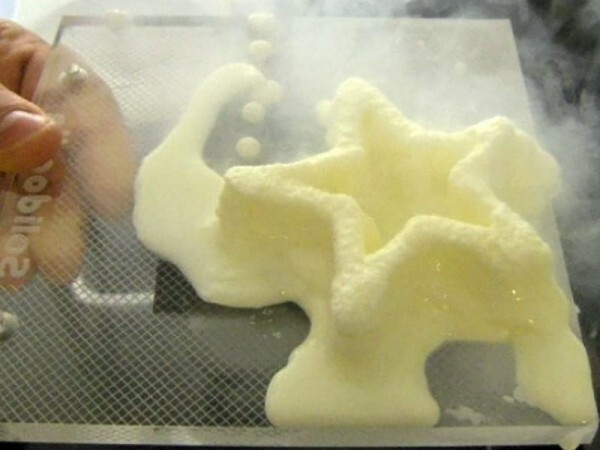 One of the most worldwide favored foods, ice cream, was made 3D. Three MIT students named Kristine Bunker, Kyle Hounsell and David Donghyun Kim, have created a printer that uses the principals of a fused deposition model to make ice cream. The team has accomplished printing soft serve ice cream by developing a device that is combines a Cuisinart ice cream maker and a Solidoodle 3D printer. 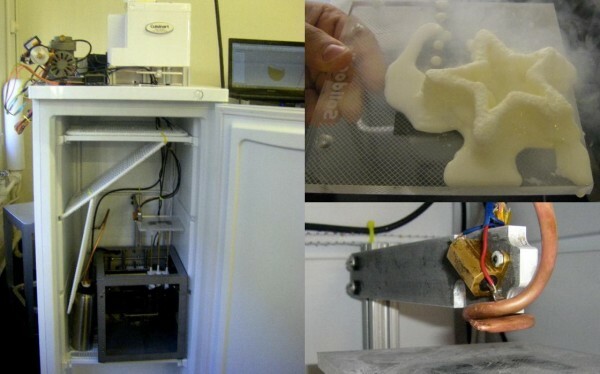 The modified 3D printer is sheltered inside with a small freezer. 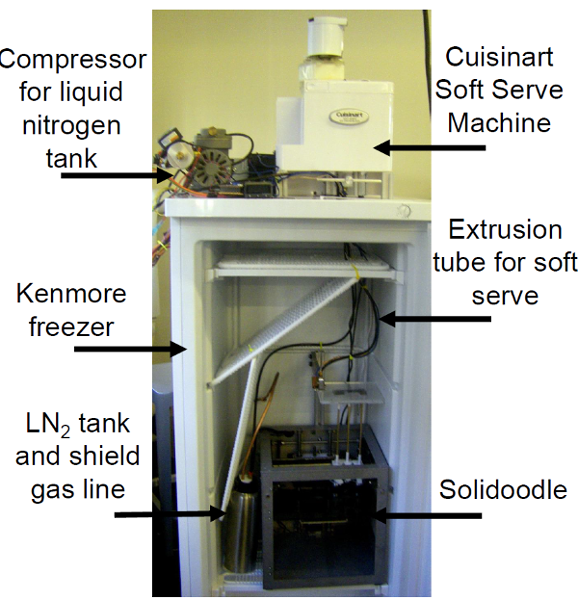 In order to keep the extruded soft serve solid, a line of liquid nitrogen is blasted at it. When they were creating the ice cream, they noticed that the ice cream needed a shield of gas to solidify it as it came out of the extruder of the machine. This was how they came up with the system to spray liquid nitrogen. They built it in such as way that it will spray the gas onto the ice cream as it extruded. When it is finished, we will have ice cream with constant characteristics.